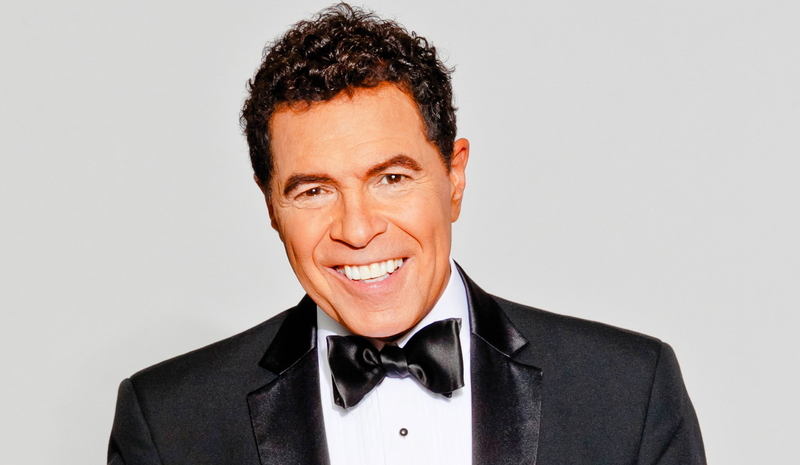 Over the last few years, Clint Holmes has established himself as a cabaret artist of great sensitivity and intelligence in his annual residencies at the Cafe Carlyle. Holmes has been a Las Vegas performer for some time, but exhibits none of the negative qualities you associate with Vegas. He only has the good Vegas stuff: He is nothing if not sincere and authentic, and possesses a magnetic stage presence and a practiced but subtle showmanship that underlines what’s important in the show without overselling it. His latest act at the Carlyle, entitled “Stop This Train”, is by far his most personal yet, wonderfully reflective and nuanced. In the show, Holmes meditates on the imprints left both by one’s childhood home and venturing out into the wider world. He begins with his boyhood days in Buffalo, New York, where his father was an African-American jazz vocalist who worked in a steel mill and his mother was a white British opera singer who taught voice. He recalls his life changing adolescent encounter with Rodgers & Hammerstein, with a movingly understated take of their “This Nearly Was Mine”. He pays tribute to his father’s small-time jazz band with a rendition of “How High the Moon”. He owes the basic idea for his approach to the song to Charlie Parker and Ella Fitzgerald, but spins off into subtle improvisations that are entirely his own. The great majority of the show’s middle part is devoted to Holmes deep affection for Paris, doing versions of “C’est Si Bon” and “C’est Magnifique” that are entirely insouciant and sans souci. He also paints a more wistful, rueful picture of the city with quieter pieces like Paul McCartney’s “Michelle” and Charles Trenet’s “La Mer (Beyond the Sea)”. Holmes ends the show with a song he wrote himself “1944” about his parents meeting in Europe; he has imbued the song with both richly evocative details and deep feeling, and delivers it warmly but with very tasteful restraint. Holmes is a class act, and this show is first-rate cabaret.